For as long as one can remember, it was believed that people were born with a set level of intelligence, and what you had, is all you would ever have. And that your potential was a predetermined bar that you could not rise above. struggling academically. They found that spending less than six hours playing brain games over the course of ten weeks enabled them to catch up to those students in the top of their class. “When it comes to improving intelligence, many researchers concluded that it was not possible. Our findings, however, clearly show that this is not the case. Our brain is more plastic than we think,” said lead researcher of the Michigan University team, Susanne M. Jaeggi. What these studies show us is that learning new skills makes the brain work better and faster by creating new neural pathways. The following six hobbies can increase your intelligence, and I’ll tell you how! Playing a musical instrument boosts creativity, helps develop analytic skills, and greatly improves overall brain function. Glenn Schellenberg conducted a study at the University of Toronto which found that learning to play a musical instrument strengthens the corpus callosum that connects both hemispheres of the brain, thereby creating new neural connections. In fact, after testing students who were playing musical instruments, he saw an average jump of seven points on their IQs. You can read anything, really anything, and your brain will thank you. There are three types of intelligence- fluid, crystallized, and emotional- and reading helps improve them all. Emotional intelligence involves awareness and understanding of one’s own emotions. According to IQTestExperts, “crystallized intelligence relies on existing skills, knowledge and experience to solve problems by accessing information from long-term memory. Fluid intelligence, on the other hand, relies on the ability to understand relationships between various concepts to solve the problems. It is independent of any previous knowledge, skills or experience and accesses information from short-term memory or ‘working memory'”. On top of improving those three aspects of brain function, reading also reduces stress, and who couldn’t use a little less stress in their life? Leg days at the gym, and the occasional strenuous workout won’t cut it. To reap the benefits of mental acuity, regular exercise is needed. A nightly walk, a daily swim, or even morning yoga will help improve memory, learning, focus, concentration and understanding. Exercising on a regular basis increases levels of a crucial protein called brain-derived neurotrophic factor, or BDNF. This protein is essential maintaining healthy neurons and creating new ones. The study done by Gomez-Pinilla at UCLA states that regular exercise can even repair the synapses in the spinal cord, relating to neuromuscular activity. With these finding, the opposite has also been found to be true- lack of exercise and prolonged periods of inactivity actually inhibits our brain from functioning as well as it could. When we learn a new language, we trigger responses in the brain that improve skills like planning and problem-solving. Learning and speaking more than one language also positively enhances one’s ability to monitor their environment and helps them to process thoughts faster. There is even research which was done at Pennsylvania State University that states learning a second language can actually increase grey and white matter in the brain! Whether it’s solving a crossword puzzle, playing video games or board games, challenging the brain increases neuroplasticity, and makes you smarter. Neuroplasticity refers to noticeable differences and changes in neural pathways and synapses that happen because of changes in one’s environment, or situations. Basically it means the brain can adjust it’s own neurons to compensate for the changes we initiate in our own lives. Solving problems causes us to be aware of new modes of thinking, and improves our cognitive abilities! There have been few studies on meditation as prolific as the ones Richard Davidson, a prominent neuroscience professor at the University of Wisconsin-Madison, has conducted. His findings suggest that meditation can ultimately alter the structure and function of the brain. Wired writes that Davidson suggested “if meditation could enhance the brain’s ability to produce ‘attention and affective processes’ – emotions, in the technical language of his study – it might also be used to modify maladaptive emotional responses like depression”. The entirety of the research results can be found in Proceedings of the National Academy of Sciences. The results were also published in the Wall Street Journal, and boy did it draw some attention. The general concept here is understanding that the brain can change itself and heal itself (in a manner of speaking). Various activities engage different parts of the brain so you can improve your strengths and diminish your weaknesses. 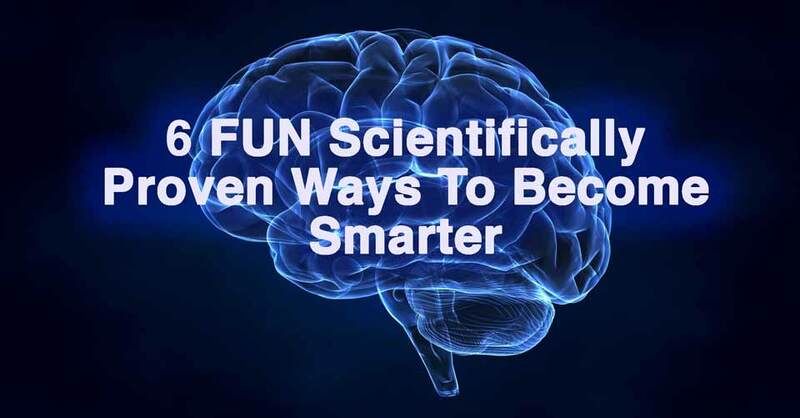 There are literally countless ways to improve your brain function and increase memory, along with altering emotional responses to a more positive way of life. Two of my favourite brain enhancing activities consist of traveling to new places, and writing. I find that experiencing new cultures and lifestyles opens the mind up to endless possibilities and stirs the curiosity within. And writing is where imagination flows freely- letting the mind explore places I never knew were there. What are some things you like to do to kickstart your brain? Leave us your tips in the comments!